J.C. Penney says it wants to "focus its resources on the Company's highest potential growth opportunities." 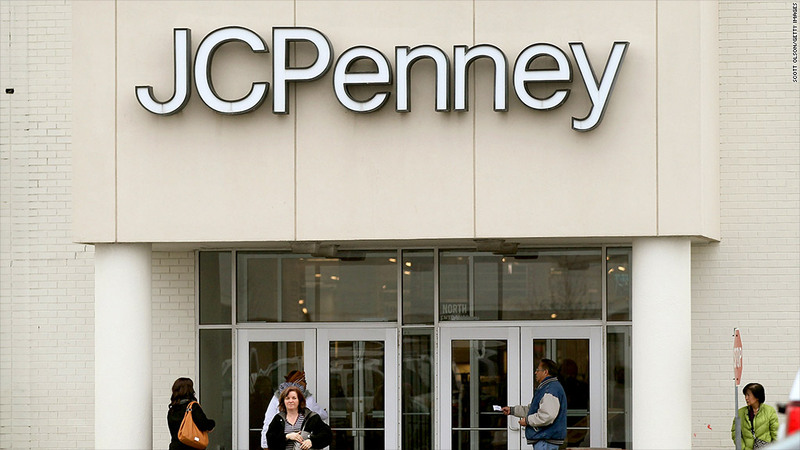 The bad news continues at J.C. Penney. The ailing retailer announced Wednesday that it was cutting 2,000 jobs and closing 33 "underperforming" stores in an effort to rein in expenses. The store closings -- listed here -- are likely to be complete by early May. J.C. Penney said it expected the moves to generate $65 million in annual cost savings. "While it's always difficult to make a business decision that impacts our valued customers and associates, this important step addresses a strategic priority to improve the profitability of our stores and position JCPenney for future success," J.C. Penney CEO Mike Ullman said in a statement. Investors weren't impressed -- J.C. Penney (JCP) shares slid 1.1% in after-hours trading Wednesday following the announcement. It's been a brutal year for J.C. Penney, its stock falling over 60% in the past 12 months. The company has been losing hundreds of millions of dollars per quarter, and is in the midst of another turnaround effort after ousting former Apple (AAPL) executive Ron Johnson last year. J.C. Penney's announcement comes after rival Macy's (M) announced last week that it was laying off 2,500 workers and closing five stores.